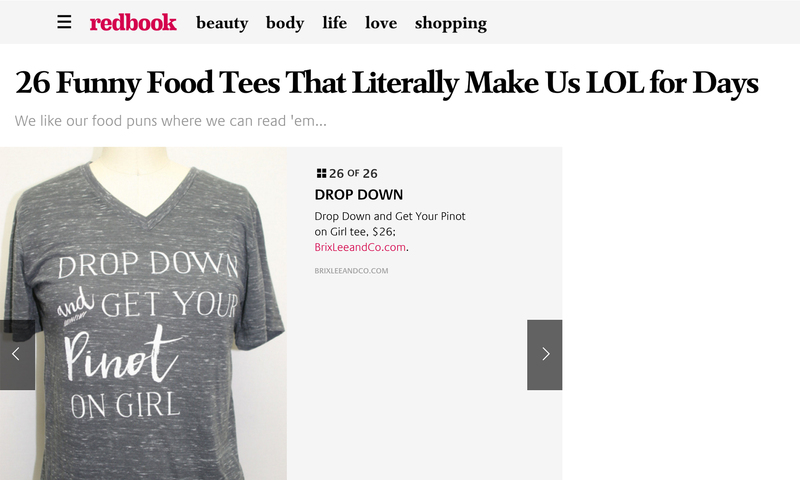 Congratulations to our Client Brixlee & Co for their feature on Redbook! Get ready for fun in the sun this summer with Brixlee & Co.’s SoCal inspired fashion essentials. Brixlee & Co. is a woman-owned venture created by three friends who love wine, fashion, and having a good time. Together, they’ve launched a line of graphic tees that embody laid-back living with a stylish twist and plenty of wit. Stay cool while looking tres chic with tees and tanks that are lightweight, fitted, and hip to your wine predilections. Each Brixlee & Co. shirt is made from only the softest, highest quality cloth on the market and hand printed in the USA. Not only does this result in a flattering fit, but also an irresistibly touchable feel. Check them out at brixleeandco.com!